In November of 2012, Jose planned to go on a fishing trip. 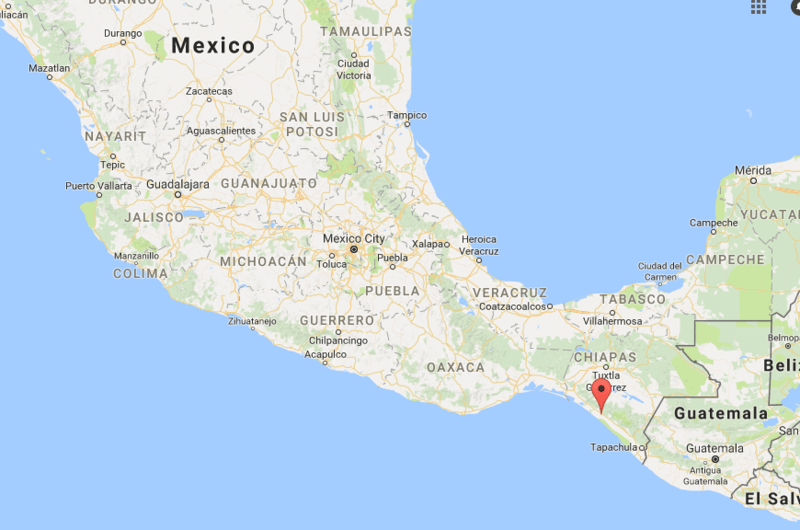 He planned to depart from a village called Costa Azul, located in Chiapas, Mexico, and to return later to the same village after a planned overnight excursion out into the ocean. He hoped to return eventually with a load of fresh fish, including tuna, mahimahi, and even sharks. He was sure this trip was going to set him up for a while, considering how much he would make from selling all the fish. 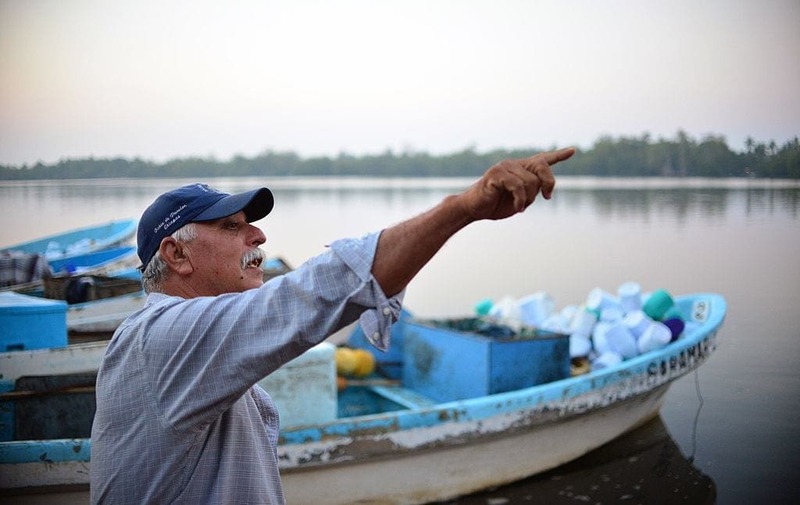 Jose Alvarenga was a veteran fisherman with a lot of experience. He didn’t imagine that anything would go very wrong, see how he had gone on many such trips in the past. But right from the start, there was at least one difference this time – his usual companion for fishing expeditions, a friend of his named Ray Perez, would not be going on the trip. Seeing how two people were required for such a trip, Alvarenga started looking for someone else to go on the trip. He started asking around, trying to find someone who would be physically-fit enough for the challenges faced during the trip; that person would need to be able to handle the overnight voyage, the running of the boat, and the catching and carrying of the fish. Eventually, a local soccer player named Ezequiel Córdoba agreed to go on the trip for a promised payment of $50, not knowing what a major decision he was making, and how it would affect his life. You never know who is going to be there when things get rough. Córdoba and Alvarenga hadn’t really met before, or ever spoken, and they had certainly never worked together in any capacity, but the fishing trip was not supposed to be particularly complicated or long. Soon after agreeing on the payment, these two near-strangers departed Costa Azul aboard Alvarenga’s little fishing boat. They had no idea how much they would have to rely on each other on this trip. When planning for the fishing trip, Alvarenga and Córdoba decided that 30 hours would be the right amount of time for this excursion; not too short that the catch wouldn’t be worth the time, and not too long that their provisions wouldn’t suffice. More than one night would certainly be tricky on this boat, which was low and open and could provide no cover if needed. But at that time of year there was typically little rain, so they figured that they wouldn’t need cover. Alvarenga and Córdoba definitely expected to return to shore within 30 hours, so they didn’t bother to make sure that certain devices onboard would be in the best shape; the two-way radio’s battery was half empty, and the GPS was not waterproof. 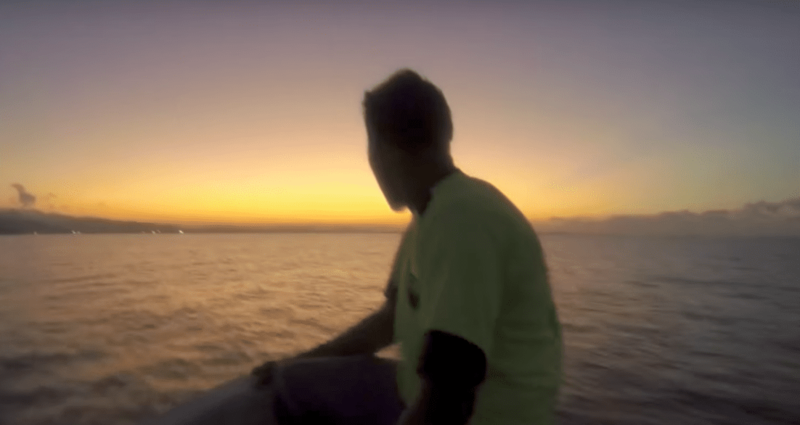 The trip was very productive, in the sense that the two fishermen caught plenty of fish – over a thousand pounds, to be specific; however, something unexpected was about to throw a monkey wrench into their plans. Unfortunately, and uncommonly for that time of year, a storm hit right where Alvarenga and Córdoba were fishing. 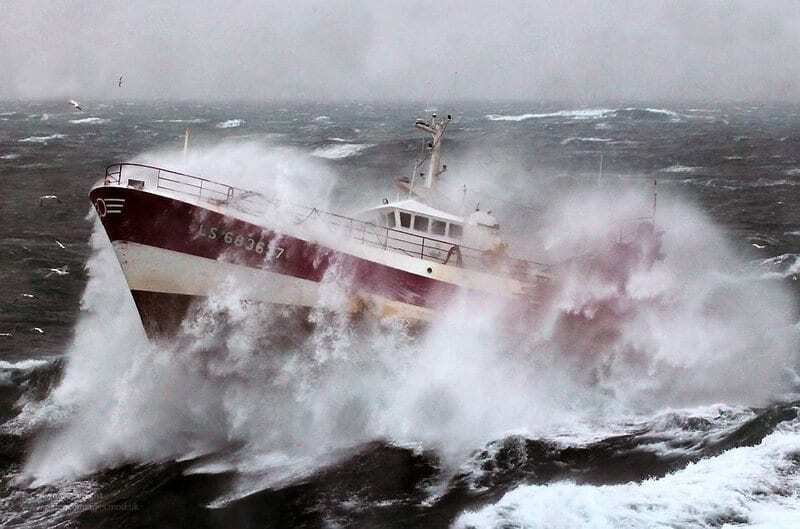 The small fishing boat couldn’t resist the waves that were hitting it, and they were blown off their course, getting swept away in the wrong direction. The boat was hit again and again by the waves, and there was a real danger that it would break or flip over. Córdoba was terrified, not knowing what to do, but the experienced Alvarenga quickly took control of the situation. 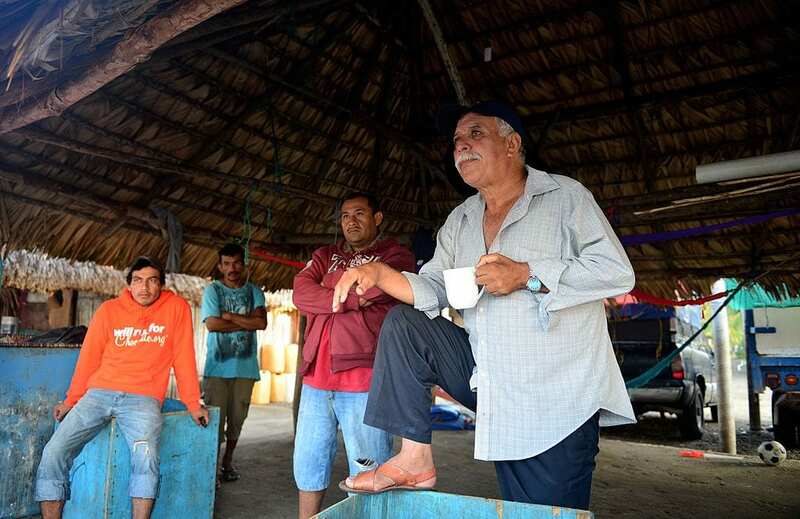 Alvarenga navigated through the storm, managing to stable the boat until they were in the clear. Shortly after, they spotted land in the distance; they were sure that their prayers had been answered and that they were in the clear. Unfortunately, they didn’t get the chance to relax, since there were more problems to come; while trying to head to shore, Alvarenga and Córdoba noticed the engine was struggling. It faltered for a little while, before breaking down altogether, leaving them stranded. Now they were both panicking. Alvarenga knew they had to act immediately, and remembered that there were several devices onboard meant to help them in such situations. He turned on the radio, and sent out an SOS call to Willy, his boss. Keep in mind that that is the previously mentioned radio, the one whose battery is half-empty… Willy got on the radio, and Alvarenga got him up to speed, and asked him for help. Willy realized the severity of the situation, and immediately requested Alvarenga and Córdoba’s location, in order to organize a rescue team to get them. But their luck continued to run out – their not-waterproof GPS had died in the storm, and the fishermen could not tell Willy where they were. They were running out of ideas, but Willy had one last thought that he was sure could help them. Unfortunately, there were a few things he didn’t know. Upon realizing that their GPS had died, the quick-thinking Willy told Alvarenga and Córdoba to lay anchor, in order to make it easier to find them when the search party heads out into the water after them. Unfortunately, Alvarenga had not considered this eventuality and had not thought of bringing an anchor aboard the boat, when on any other trip it had turned out to be unnecessary. 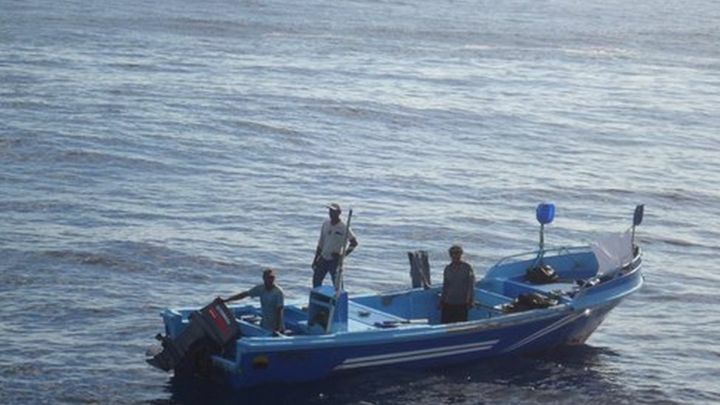 Willy sent for help quickly, hoping the two fishermen would be found in spite of them not being anchored. 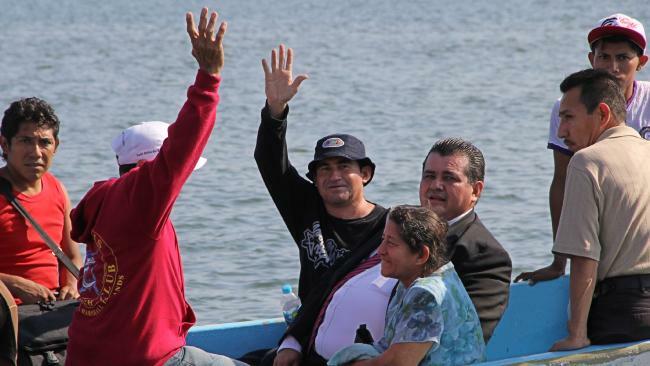 As quickly as he could, Willy reported to the Chiapas authorities of the missing boat. A search party was then sent out to find Alvarenga and Córdoba, trying to pinpoint their location from the report of their movements. For 48 hours an airborne team was looking for them in the water, until finally they had to stop due to poor visibility – poor weather conditions meant they simply could not search properly any objects in the water. 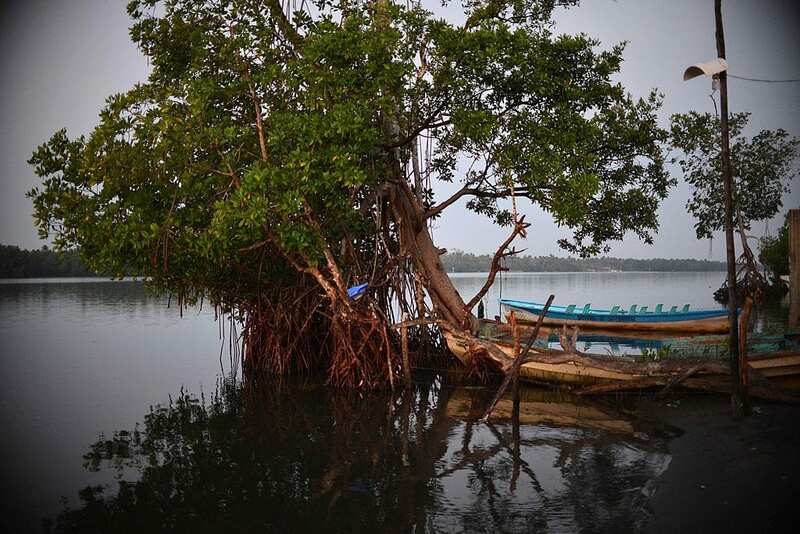 On land people kept waiting to hear news of the two missing fishermen, but time passed and when a year went by without word of either of them, everyone knew it was highly unlikely that they were still alive. 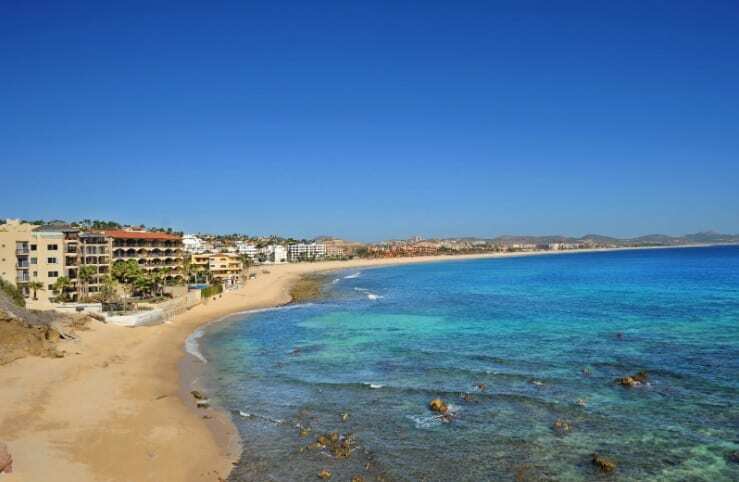 Life went on in Costa Azur, and none of the locals believed that Alvarenga or Córdoba would ever return. So imagine their surprise when about 14 months after the boat’s disappearance, they finally got some news. After spending well over a year adrift in the middle of the ocean, most of the time alone (and not even any TV! ), it is no surprise that you would get a little bit, well, crazy. Well, it appears that this is exactly what happened to Jose Salvador Alvarenga. According to news reports, when Jose first arrived on Tile Islet, he was naked, jumping up and down, and yelling while clutching a knife. The man was extremely skinny, with a big and tangled beard, and weakly stumbled up the beach towards Emi and Russel. Emi later said: “As I’m looking across, I see this white man there. He is yelling. He looks weak and hungry. 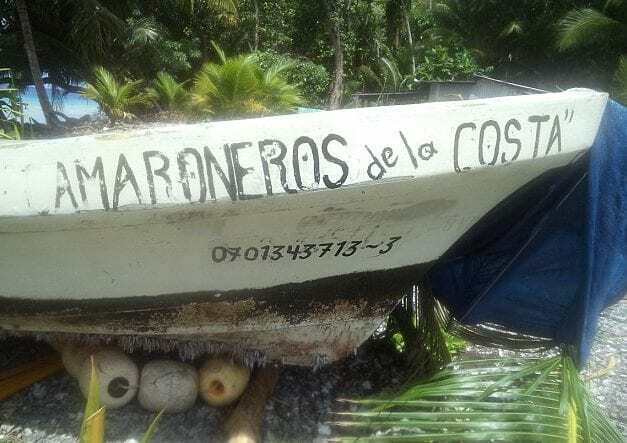 My first thought was, this person swam here, he must have fallen off a ship.” It was January 30th, 2014 – Alvarenga and Córdoba had been missing for more than 14 months. Could this man be one of them? 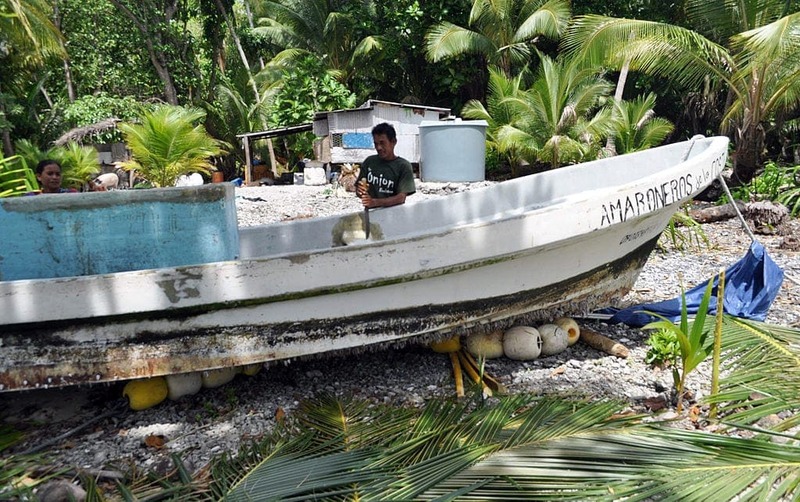 The couple brought the newcomer into their home, and Russel took out a boat to go get help. He finally returned with a nurse and a police officer, who took the stranger to Ebon, the local main port. There he recounted for the authorities the details of his incredible tale and how he ended up on Tile Islet. His name had not been released to the public at that point, but speculations ran, and people started guessing who this man was. Naturally, this man’s story drew a great deal of attention, and the media was swarming, each news outlet scrambling to be the one to get the full story first. The man had clearly been through a lot, and was understandably reluctant to share with so many people a story that was no doubt filled with difficult and terrifying moments. Well, the decision whether to share his story was made for him, as reporters pieced the story together on their own. Well, this man was Alvarenga. After the radio’s battery ran out, and Alvarenga and Córdoba could no longer communicate with Willy, they realized that they could no longer count on help coming, and would have to think what they could do on their own. There wasn’t much they could do, however, as the weather was still very bad, and they couldn’t even try to navigate. They spent a while simply trying to keep the little boat intact while they weathered the storm. Alvarenga and Córdoba had to make difficult decisions very quickly. The little boat wouldn’t stay still in the stormy weather, so to help stabilize it, they threw their valuable catch into the water, all 1,000 pounds of it. For the two weeks following the storm, they used standard survival techniques to stay alive, like huddling for warmth in the icebox that was meant for the fish, and catching fish with their hands for some sustenance. Still, they were getting very thirsty, having had nothing but their own urine to keep them alive. Fortunately, two weeks after the storm, it started to rain; finally they had something proper to drink. They couldn’t rely on this blessing for long, though, and they were getting desperate – weeks had become months and no one had found them yet. The two of them just kept going, catching marine animals for food, and hoping something would change. Although they managed to get some food from the animals in the water, and get something to drink when it rained, that could only keep Alvarenga and Córdoba going for so long. So much time just the two of them, barely eating and drinking… all that was taking its toll on the two of them. Córdoba, particularly, was getting very sick, and his health, physical as well as mental, was deteriorating. In the end, after several weeks at sea, Córdoba passed away. After months of having no one but each other to talk to, Alvarenga couldn’t accept at first that his companion was no longer there. For the following six days after Córdoba passed away, Alvarenga continued to talk to him, holding one-sided conversations, unable to accept that he was alone now. Finally, he got the courage to let his friend rest, and gave him a burial at sea, accepting that he was going to be alone for the foreseeable future. 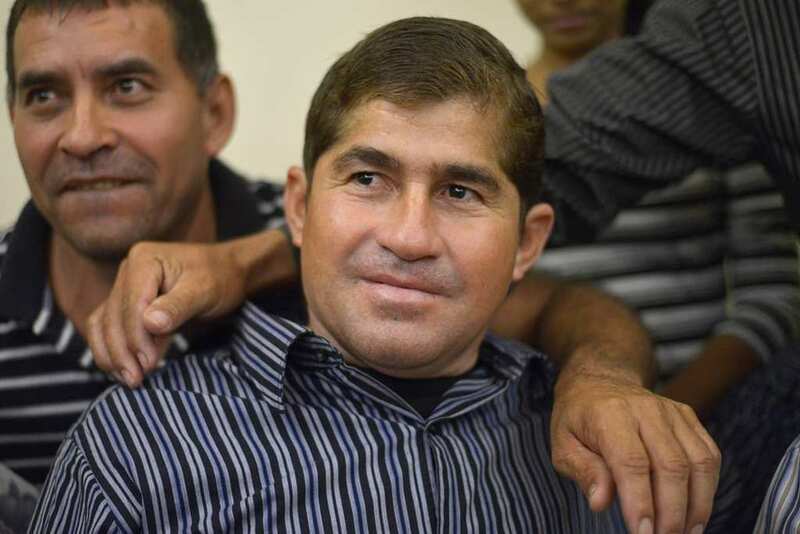 According to Jose Alvarenga, during the first few weeks of the harrowing journey, his partner Ezequiel Cordoba began to cry a lot and sunk into a deep depression. Cordoba did not believe that the pair would be able to survive the ordeal, and he completely shut down. After a couple of weeks, Cordoba got extremely sick and refused to eat. He would end up dying, but before he did, he made Alvarenga promise to visit his mother, a promise Alvarenga kept. Alvarenga was very lonely, and now had nothing to distract him from his worries that he might never be rescued. He considered giving up and taking his own life, but, being a religious person, he managed to keep going because of his faith. He let his mind take him elsewhere, away from the ocean, to places he could explore, where he could walk and eat proper food he could enjoy, and meet and spend time with lovers. Alvarenga continued this way for the next ten months, until he finally spotted land in the distance. His joy was beyond words. He cut away the buoys whose function was to keep the boat stable on the water, so he could lead the boat to the little island ahead of him, which turned out later to be Tile Islet. And we come full circle. 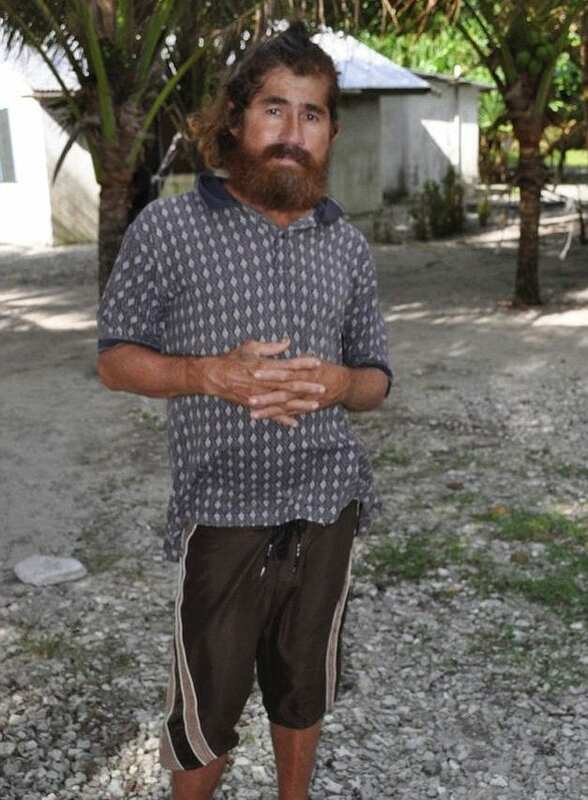 The man that Emi and Russel, the island’s residents, invited into their home was Alvarenga. 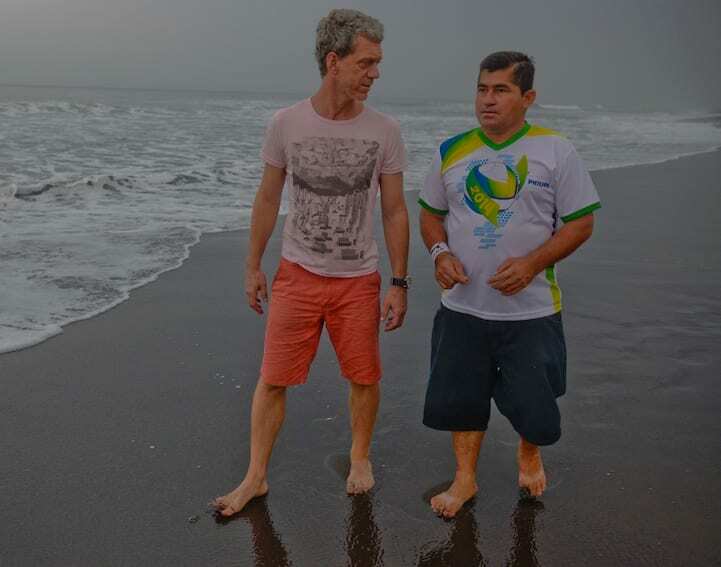 After officials came to get him on Tile Islet, Alvarenga was taken to a hospital to get checked out by a doctor. His physical health was, as you might imagine, not at its best. His legs and feet were swollen, he was anemic, and his liver was infected with parasites, which his doctors suspected was due to the diet of raw fish and turtles he was forced to be on for so long. Also, he could barely sleep, thinking of Córdoba all the time. 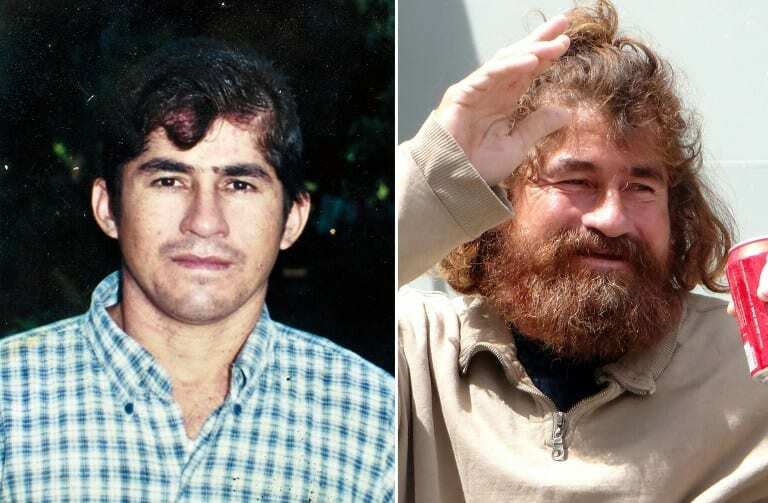 Jose Salvador Alvarenga may have set sail from Mexico, but it turns out that he is actually originally from a small village in El Salvador called Garita Palmera. 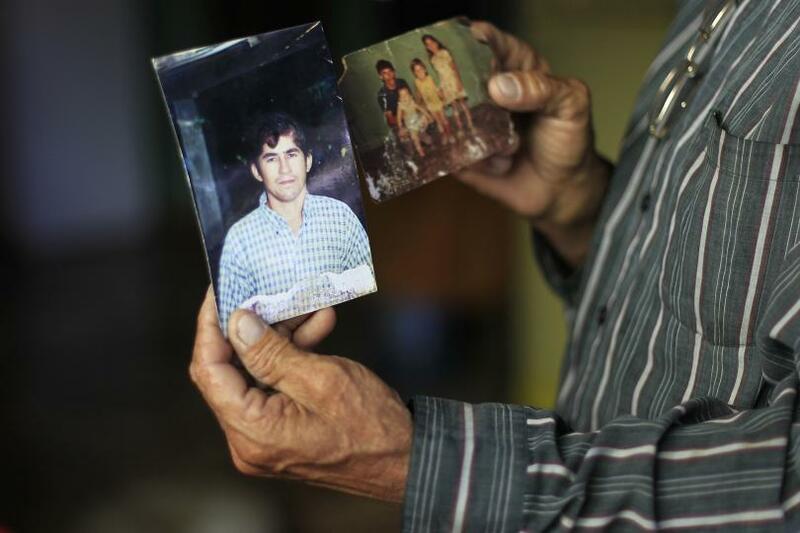 He left his family in order to seek a better fortune as a fisherman in Mexico, but after eight years, he apparently had a fight with his family and stopped returning to visit. In fact, his family, who had no idea of his whereabouts, simply assumed he had died. 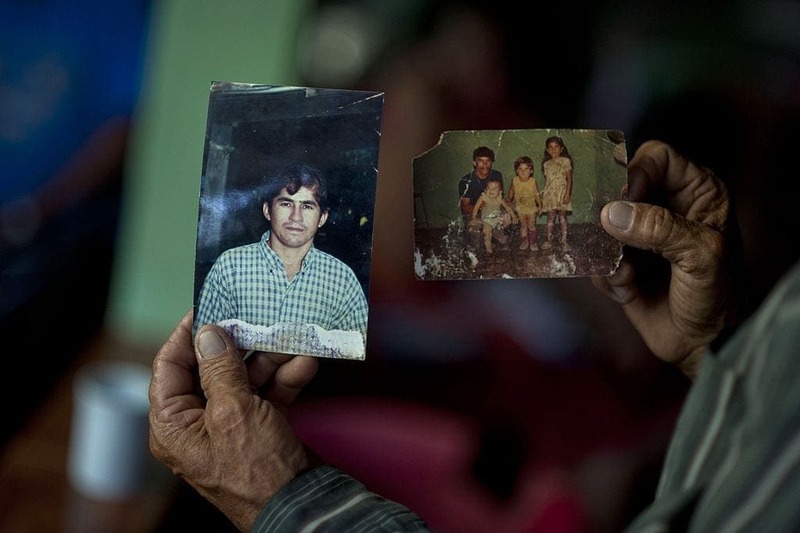 The media descending on him was probably not the easiest welcoming for Alvarenga, but in a way, the media did him a favor; so many pictures being taken of him, and his name being in the news, meant that Alvarenga’s family in El Salvador quickly heard that he was alive. They went to see him and had a moving family reunion. All the more moving because, before the disappearance, they hadn’t seen each other in eight years because of a family argument. Jose had a difficult relationship with his family in El Salvador, and that was one of the reasons that he decided to go to Mexico in order to take on such a dangerous job. 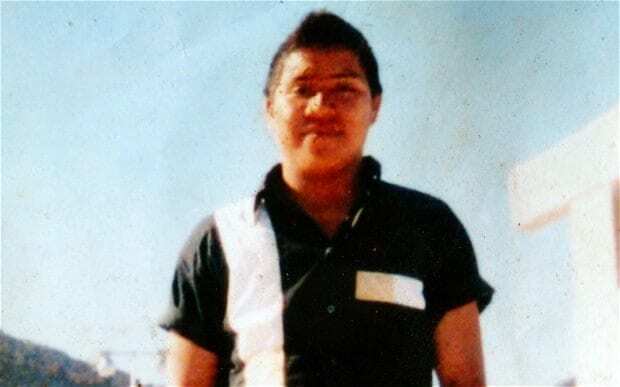 However, after being rescued in the Marshall Islands, and after the United States paid for Jose to fly back to El Salvador, Jose decided to reconnect with his family. It turns out that he even has a daughter back in his home village. The family is happy to have him back. 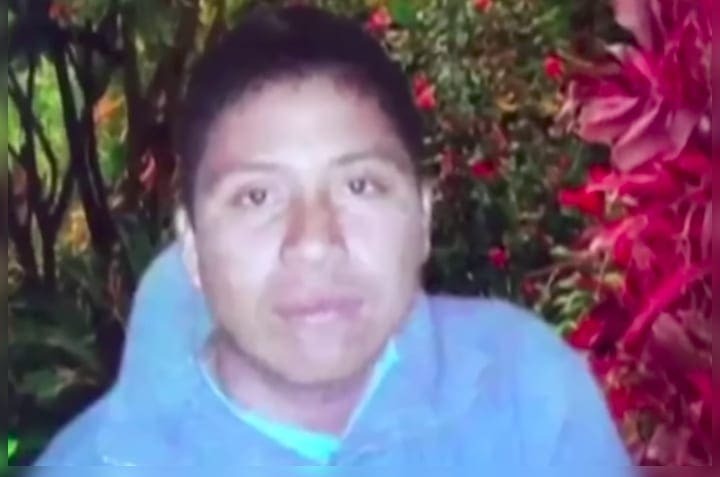 When Alvarenga recovered to a degree, and was at least well enough to travel, one of the first things he did was to go to Mexico to meet with Ezequiel Córdoba’s family. More specifically, he felt he had to meet with Córdoba’s mother, whose name was Ana Rosa, and do what he could for her. He was received warmly, and sat and talked with her for hours, telling her everything he was able to, and answering all her questions. All of us travelers must learn from Alvarenga’s story. We have to learn to keep our spirits up, and carry on living, even when there are challenges and we think all is lost, because there is always hope that something will change. Also, being as prepared as we can for potentially dangerous situations is very important. In the future, when he heads out into the ocean, Alvarenga will certainly remember to fully charge his radio, and get a waterproof GPS. 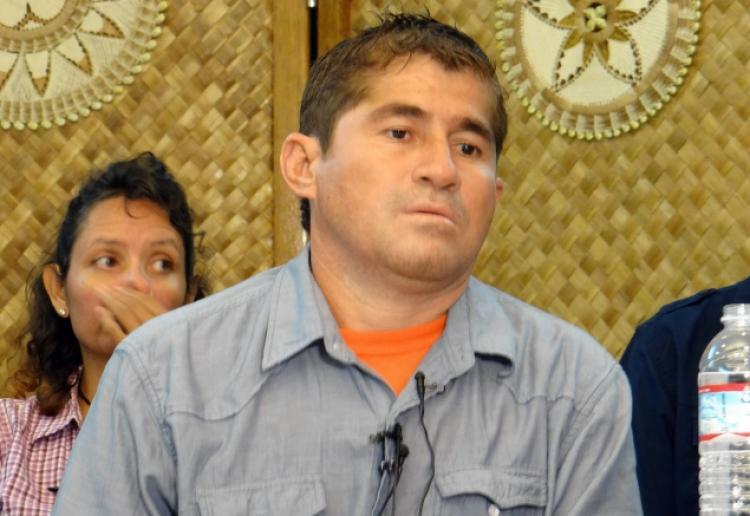 A lot of people first doubted Jose Salvador Alvarenga’s story when it first came out. In fact, many people doubted that it had happened at all. A lot of detractors said that Alvarenga looked way too healthy to have been out in the sun and drifting in the ocean for so long. They believed that he was just a common huckster who wanted a free vacation to the Marshal Islands. 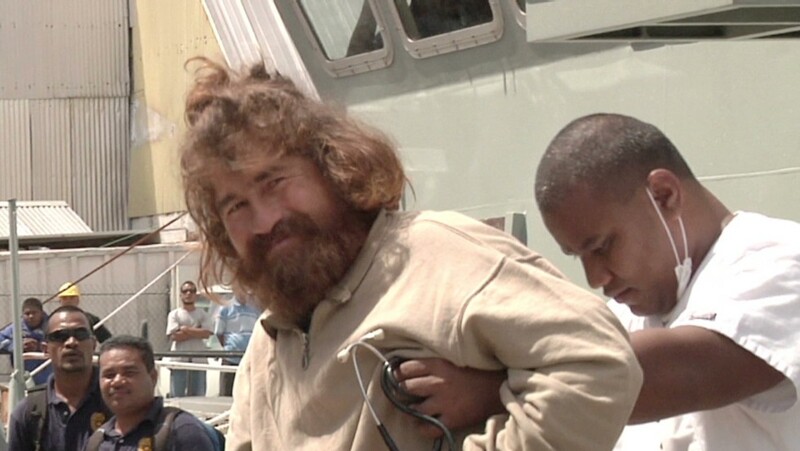 One of the most difficult things for Jose Salvador Alvarenga was proving that he actually survived in a boat for so long before he ended up in the Marshall Islands. 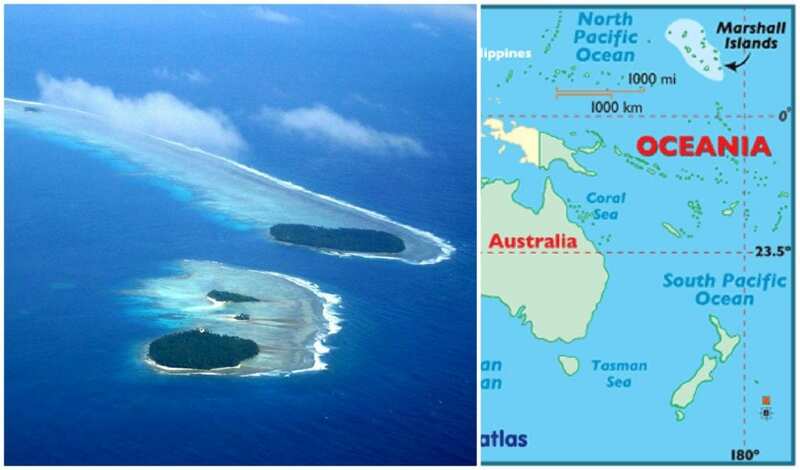 So, oceanographers decided to conduct a test to see if it was even possible to drift from Mexico to the Marshall Islands. The scientists put buoys in the water in Mexico and set them adrift. It turns out that the buoys went directly to the Marshall Islands in approximately the same amount of time as Jose. One of the main reasons that Jose Alvarenga survived is because of his faith and because of his will to go on. According to various survival experts, it may not matter what type of equipment you have, and it may not matter how far you have gone, but if you do not have the will to keep going and to keep on living, then you will not survive whatever ordeal you are in. The will to survive, in many respects, is just as important as being prepared. After having travelled half way across the world to a random group of atolls in the middle of the Pacific ocean, many people wanted to know every detail of what happened. So, Jose Alvarenga decided that he would get help in order to write a novel about his journey, both as a way for him to cope with what happened, as well as in order to have a new way to make money. We hope they turn the book into a movie too! As time has gone on, there has been some question as to what the official version of events actually is. 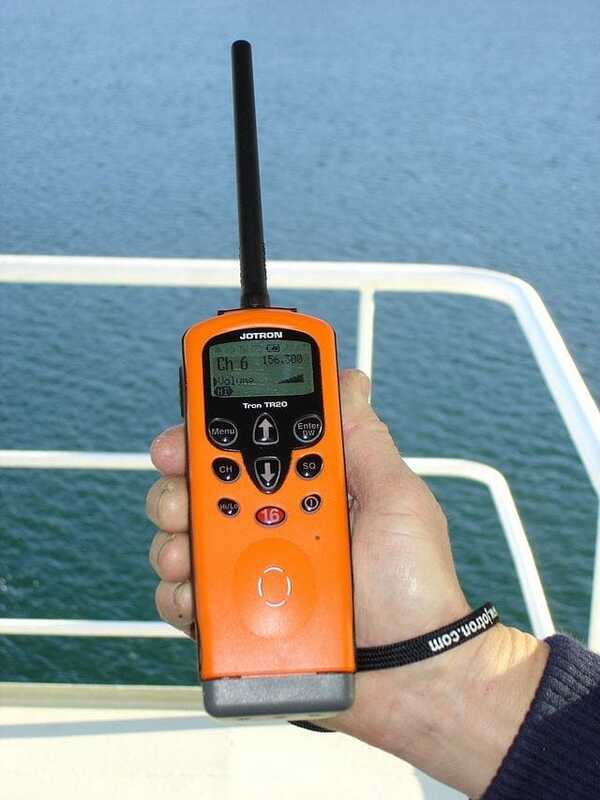 Some people have said that all of the GPS and radio equipment was washed overboard, while others say that the radio only had half a battery before the two men set out. 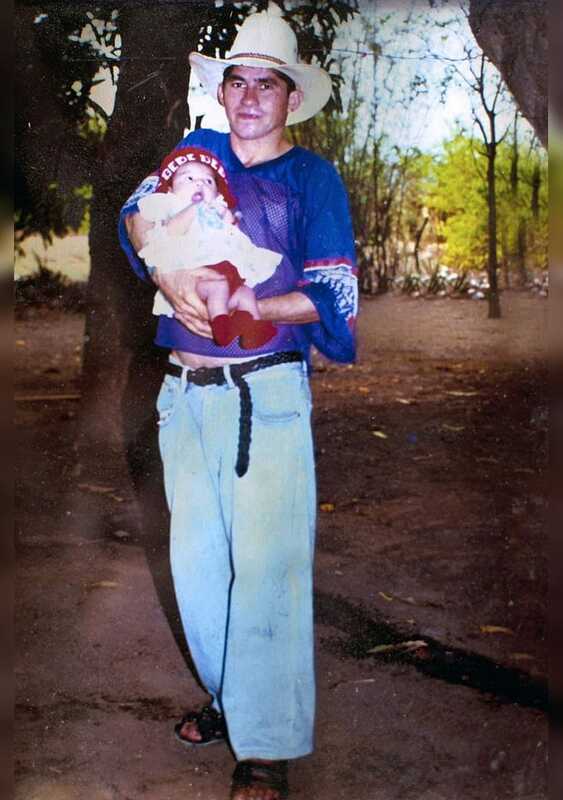 But, perhaps most interestingly, there is the question of what exactly happened to Ezequiel Cordoba? Did he starve to death, or was it something much worse? 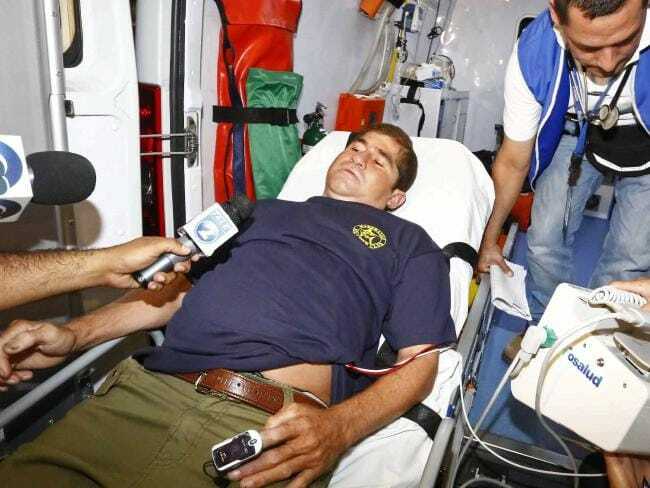 Some reports say that Ezequiel Cordoba died due to the fact that he would not eat. Alvarenga said that the pair had been eating sea birds when Cordoba got sick (either due to eating too many or eating a bird which had eaten a poisonous sea snake). 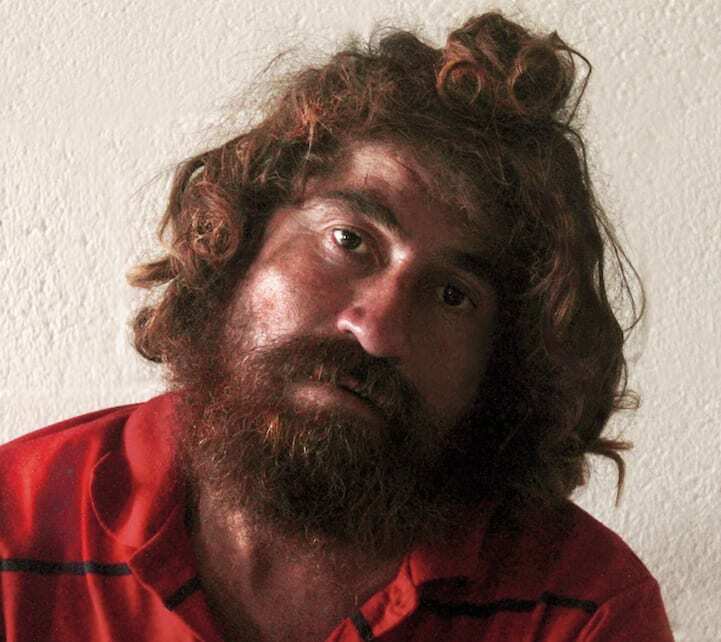 Alvarenga then says that Cordoba starved to death because he refused to eat. 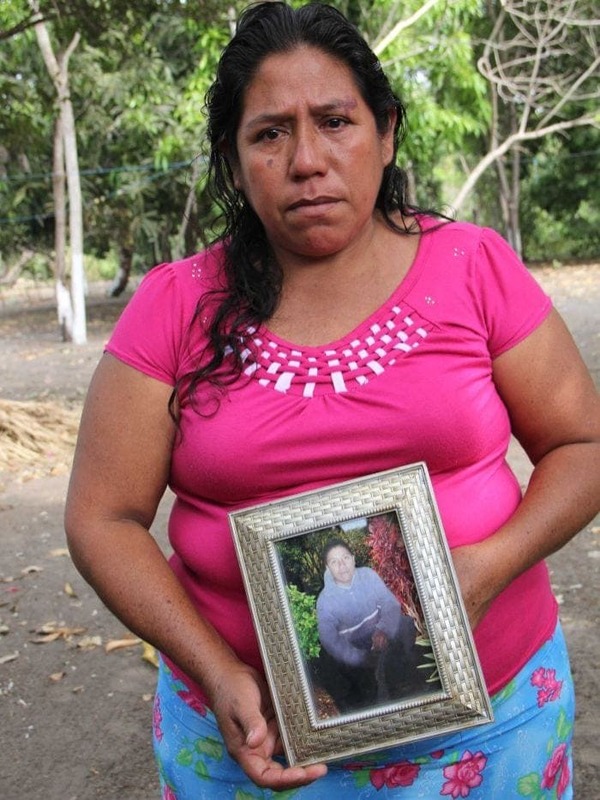 However, Cordoba’s family members tell a different story. They say that Alvarenga killed Cordoba in order to eat him. Due to the success of the book, titled 438 Days, the Cordoba family is interested in seeing some of the proceeds go to them. 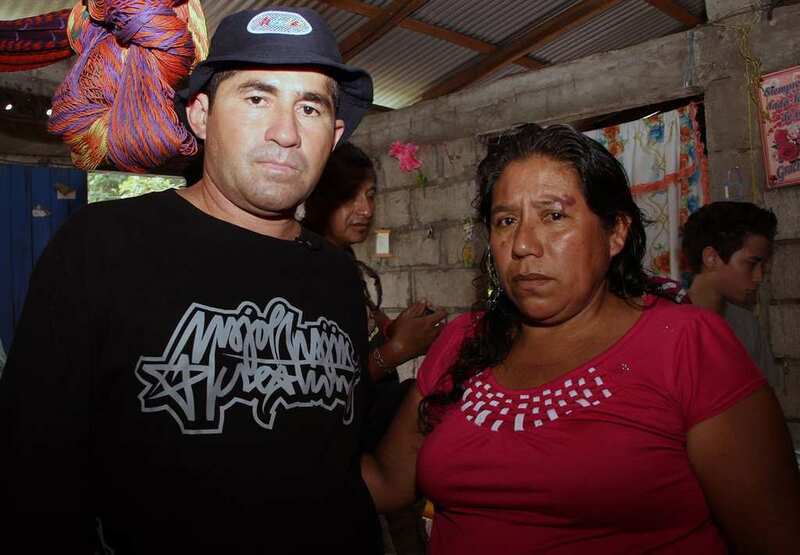 The family contends that due to the fact that the only way for Alvarenga to have survived would have been to eat Ezequiel, the family deserves half of the money. 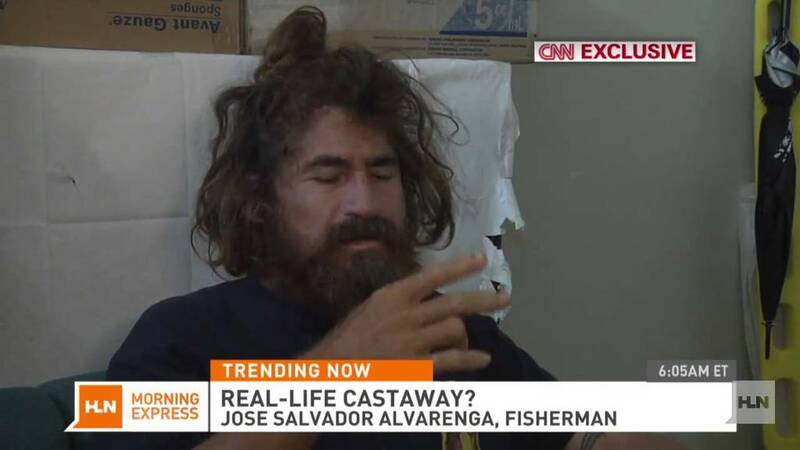 However, Alvarenga denies ever taking a bite out of Ezequiel, contending that he threw the rotting body overboard after several days. Only Alvarenga knows the truth. 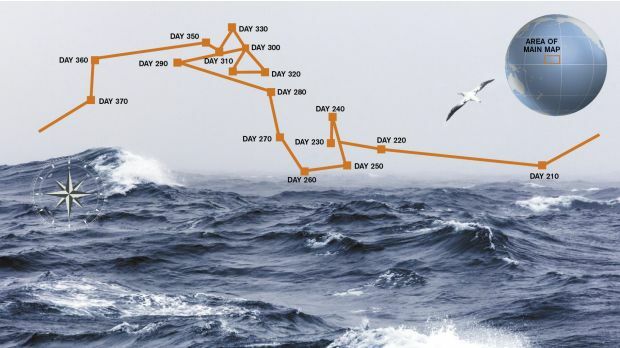 When out at sea for so long, it is hard to keep track of the time. What day is it? What month is it? Is it even the same year? Well, for Alvarenga at least, keeping track of time was not an issue. He kept track of the phases of the moon. His grandfather had taught him how to measure time by watching the moon wax and wane, so he was able to pinpoint exactly when it time he was. 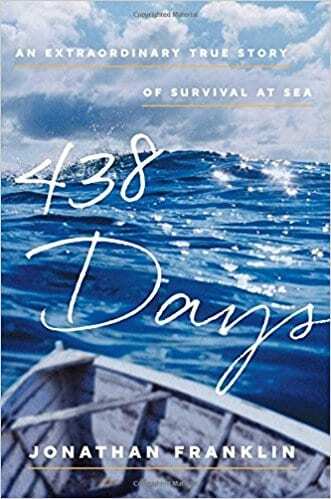 According to Jose Alvarenga, the toughest part of being adrift for so long was the fact that he was alone for a vast majority of the time. So, he decided that he would make a little world for himself to keep his mind occupied. He ate “delicious meals” in his imagination, surrounded himself with beautiful women, and every morning, he would pace back and forth on the boat, imagining that he was walking through Barcelona or Jerusalem or even his home town. 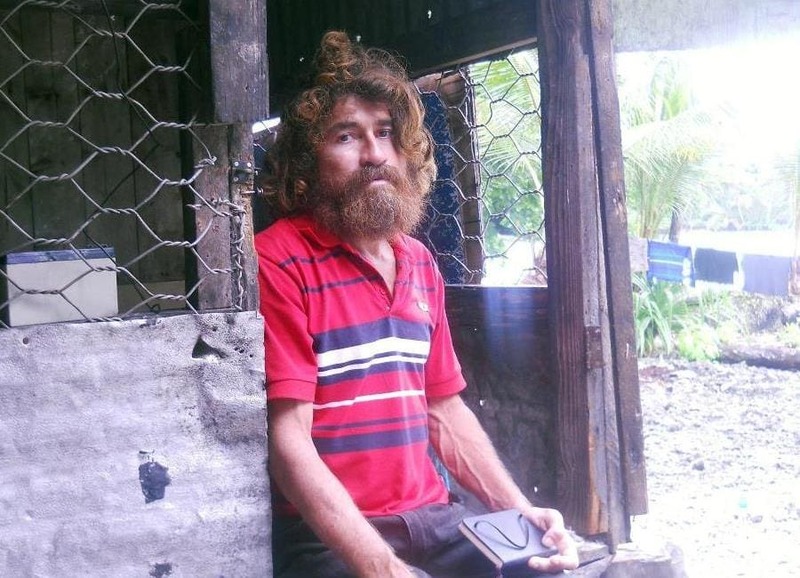 Unfortunately, now Alvarenga is on land, his troubles are still not over. He had a falling out with the lawyer he had hired to help him manage things after his return, and he instead hired a law firm based in the US; his former lawyer, whose name is Perlera, is now suing him for breach of contract. 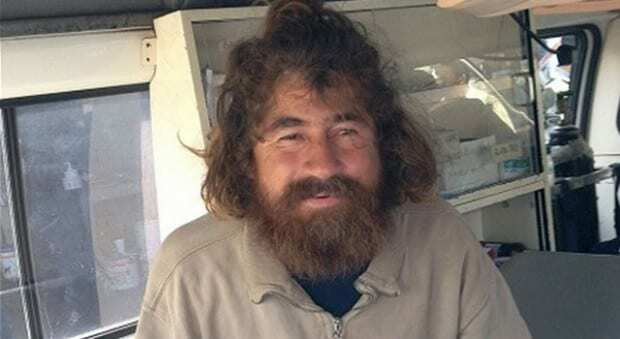 His former companion Córdoba’s family have been insisting that they are entitled to a cut of any proceeds he gets from the story of his experiences at sea. They also hired Perlera to represent them. 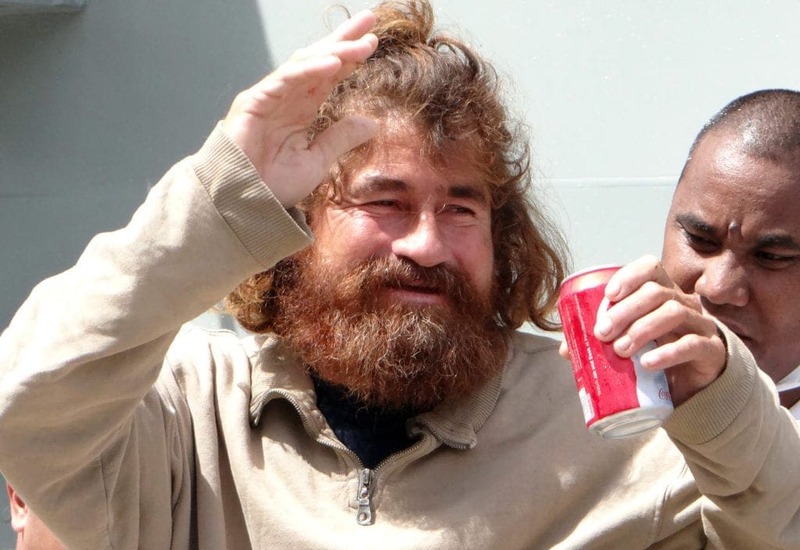 It turns out that after the storm had passed, Jose Salvador Alvarenga was so upset that he began to just throw things overboard from his boat into the ocean. He decided to throw the non-working GPS as well as the radio whose battery was drained into the water as far as he could. He also took a giant club he used for clubbing large fish and just went crazy on the broken down motor. It wasn’t going to work anyway, so why not? One of the things that people do not think about as they are vacationing in the tropics is the fact that it is indeed possible to die of hypothermia there, especially in the middle of the ocean. As night fell, the temperature dropped on the two sopping wet men, and they had to turn over their giant cooler and huddle together for warmth, hoping beyond hope that neither would succumb to hypothermia. They were so cold that they couldn’t even make a fist. 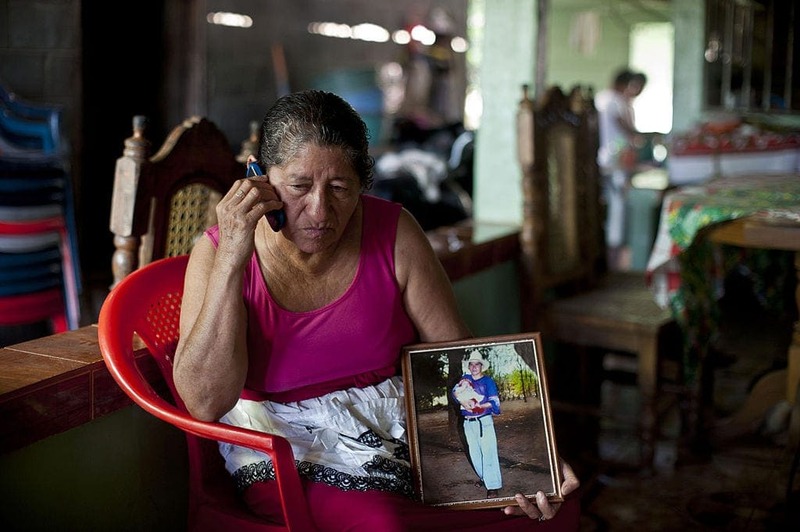 One of the things Alvarenga did to save his life may save yours one day too. 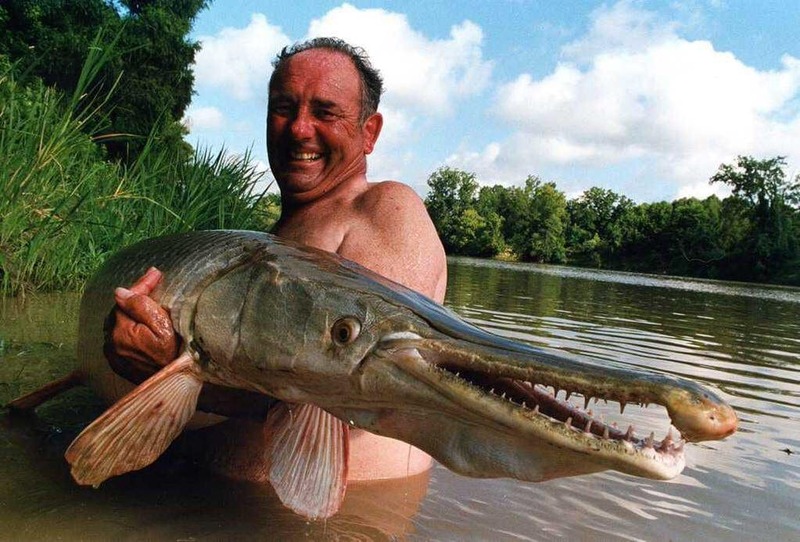 He learned how to fish with his hands. He would hold both of his hands in the water all the way down to his shoulders. He would then let them sit and wait until a fish swam between his hands. Once the fish was in between his hands, he would grip them as tight as he can, using his nails as hooks to grab onto the scales. One of the most incredible things that Alvarenga did to survive is something that we obviously do not recommend. 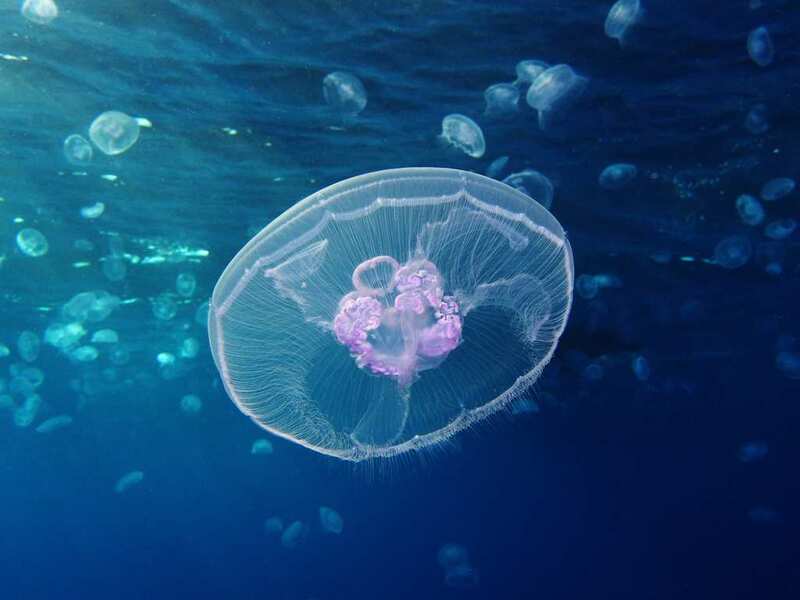 Alvarenga would grab jellyfish by their heads, put them into his mouth, and swallow them whole. According to Alvarenga, this helped him stave off hunger for a little bit. He also said that while swallowing the jellyfish hurt the top of his throat for a little bit, he was still happy to be eating something. 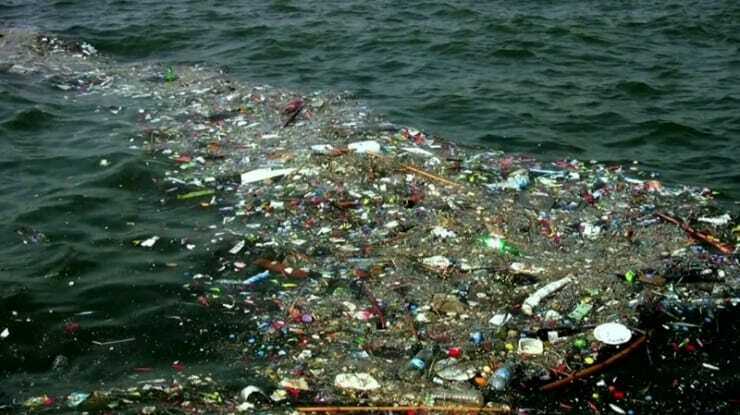 One of the sad things about humanity is the fact that so much of our garbage ends up floating around in the ocean. However, this helped to save Alvarenga’s life. For instance, he would regularly find plastic bottles floating around in the middle of the ocean, and he would use them as rain storage. He would also find bags full of garbage which would sometimes have things like carrots and cabbage inside. And all this in the middle of the ocean! 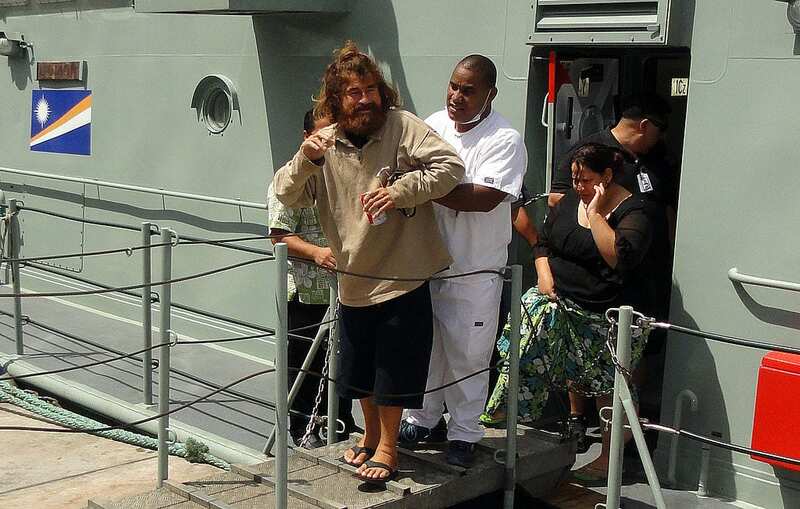 Alvarenga eventually had to push the corpse of his shipmate Ezequiel Cordoba overboard. When he did that, he almost immediately fainted. Coming to, Alvarenga had an existential crisis. Why was he alive? Why was Cordoba dead? What would have happened had the roles been reversed? He then thought about the fact that it was he himself who pushed Cordoba to come with him on the fishing trip. 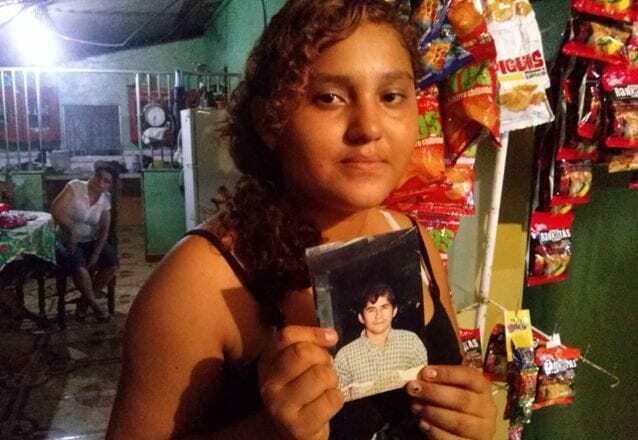 Alvarenga then began to blame himself for Cordoba’s death. It turns out that Jose Alvarenga was extremely lucky that he managed to and on Ebon Atoll. Had he missed the atoll, Jose Alvarenga would have still been drifting and possibly would not have made it. 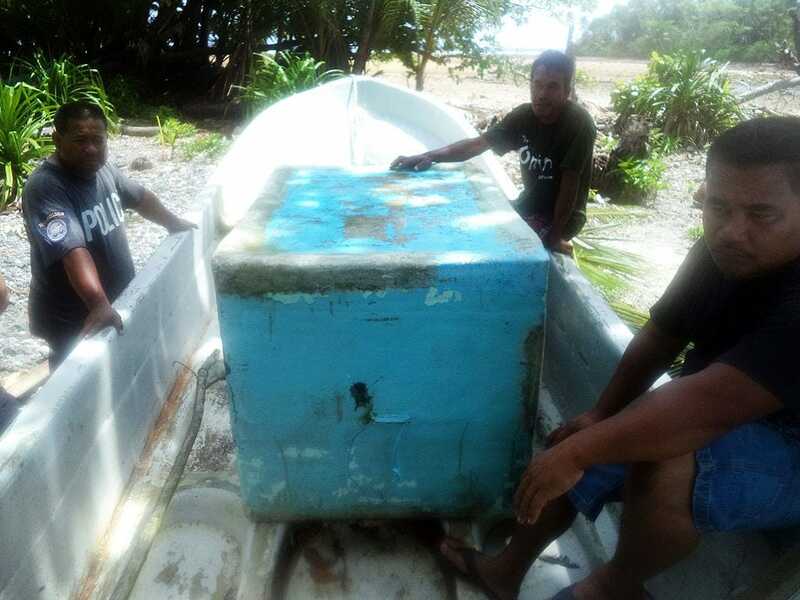 The little dinghy he was stuck in would have likely continued to drift in the ocean current, and he probably would have kept going north of Australia, hitting the Philippines 3,000 miles away. 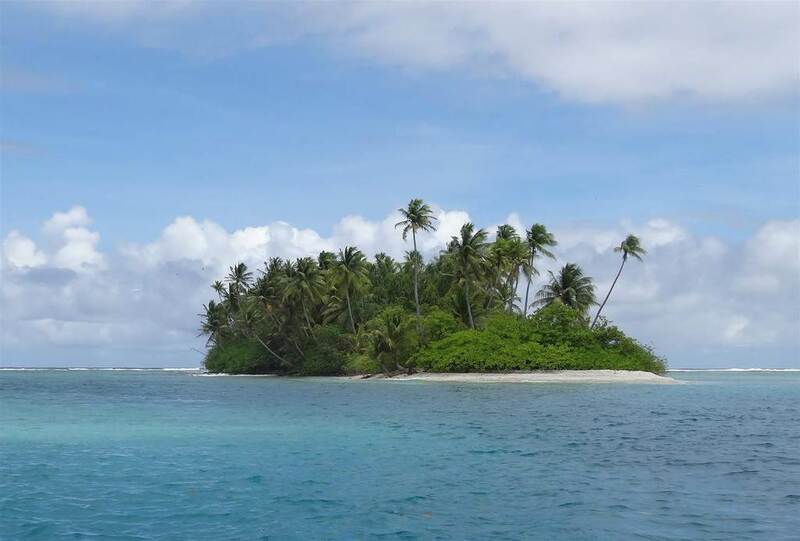 It is nothing short of a miracle that he landed on an atoll, and an inhabited one at that. When Jose Alvarenga came ashore on Ebon Atoll, the first people he found was a white couple living in a beach house. The couple did not understand Spanish, and Alvarenga did not speak English, so he tried to communicate by drawing pictures. After a few minutes of trying to draw stick figures, the fact that he was saved dawned on him, and he just began to laugh and laugh. He was finally done with his ordeal. The first time the story broke it was by a man named Giff Johnson writing for Agence France Press, one of the three major news organizations that news outlets such as the New York Times, Washington Post, Wall Street Journal, and USA Today get their news from. 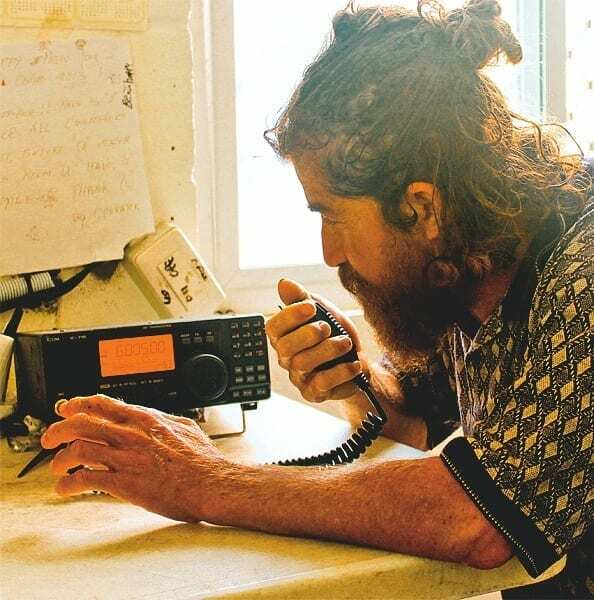 Reporters from as far away as Australia and Los Angeles attempted to reach the island in order to interview Alvarenga, and the island’s one phone line was overloaded. 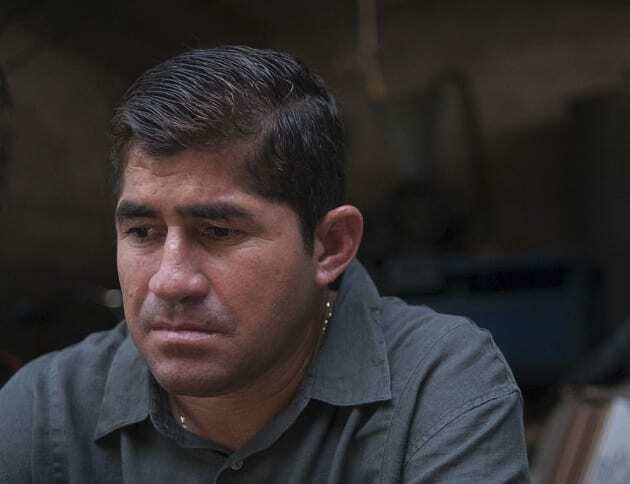 Following the harrowing ordeal, Jose Alvarenga was still not one hundred percent right, even when he went back to his family in El Salvador. He was in such poor mental shape that he needed to sleep with the lights on, and he needed to have someone around him all of the time. These fears may stem from the fact that Alvarenga was so alone and in constant fear of his life for so long. He’s doing much better now though.